The mating season of Sorex pacificus typically ranges from March to August, but can occur through November if the season is particularly mild and food supplies allow (Carraway 1985). Females prepare for the mating season by increasing the width of their uterine horns starting in January, while males’ testes enlarge in February (Gillihan and Foresman 2004). In addition, male shrews develop pronounced scent glands on their rumps that are believed to help draw in potential mates (Schmidt 1994). Falling victim to so many predators means that Pacific shrews typically have a lifespan of about one year, but it is possible for them to live and mate for up to two years (Schmidt 1994). To prevent competition of food sources, Pacific shrews live solitary lives which are only interrupted when they come together during the mating season (Gillihan and Foresman 2004). After mating, Sorex pacificus has a 21 day gestation period (Schmidt 1994), after which the female will give birth to four young on average (Carraway 1988). These young are born completely defenseless, and do not open their eyes until three weeks after birth. 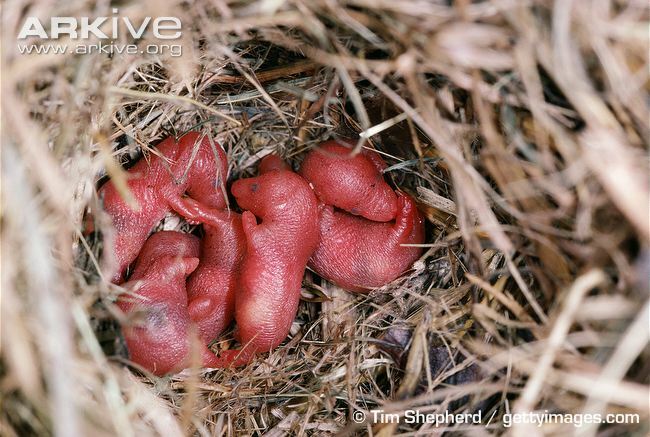 In addition, young shrews drink milk from their mother until 16-25 days from birth (Gillihan and Foresman 2004). As mammals, Pacific shrews take care of their young until they are ready to lead their own solitary lives. This point of maturation is generally reached by three months of age (Gillihan and Foresman 2004). One method of protection is the nest built out of various vegetation and mammalian hair and can incorporate an oval or domed structure during cold weather (Gillihan and Foresman 2004). Despite the protection provided by the nest, only 55-60% of young survive to three weeks of age, and even less will reach maturity and mate (Gillihan and Foresman 2004). 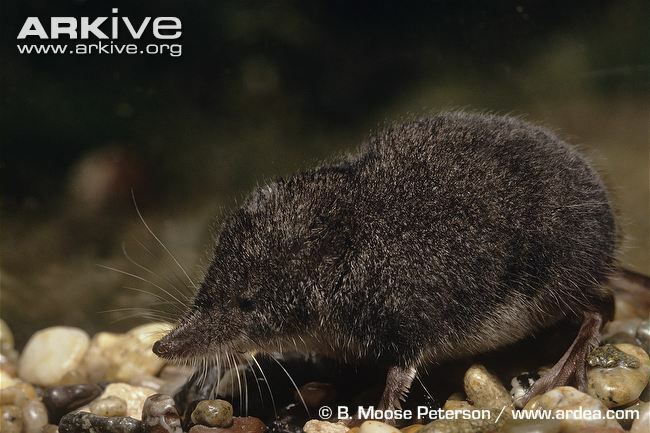 The relatively low rate of survival for the Pacific shrew forces them to have up to three litters per year, each with an average of four individuals (Schmidt 1994). Intense pressure to reproduce has selected for a short maturation time in Sorex pacificus, so much so that the individuals born early in the spring are able to mate within their first year of life, but breeding typically occurs between two older adults who have survived winter (Gillihan and Foresman 2004).